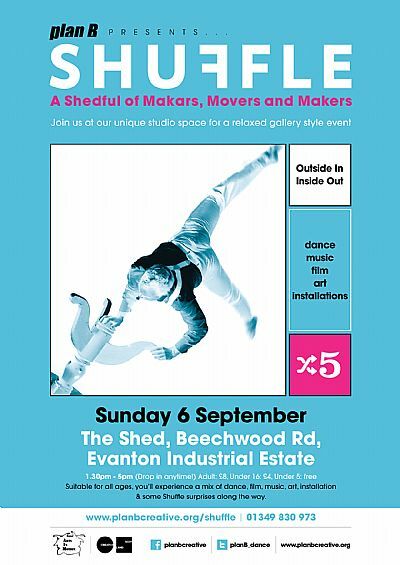 Join us for Shuffle #5 a -relaxed gallery style event with creative happenings taking place in our unique studio space - The Shed. You will promenade through a mix of dance, music, film, art, installation and a few Shuffle surprises along the way. We welcome all ages to come along anytime from 1.30 to 5.00pm. Adult £8, under 16 £4, under 5's Free and family ticket £20.